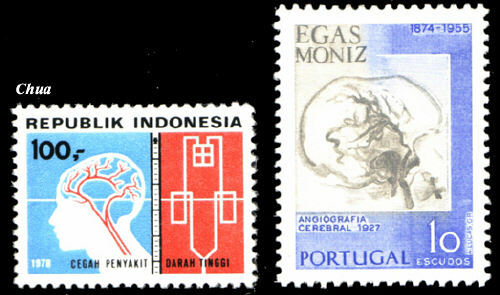 Indonesia (1978) Hypertension and stroke. Portugal (1974 SG1560) First Cerebral angiogram 1927.
results in homonymous field loss. in 1927. He was awarded a Nobel Prize for his neurosurgical research.